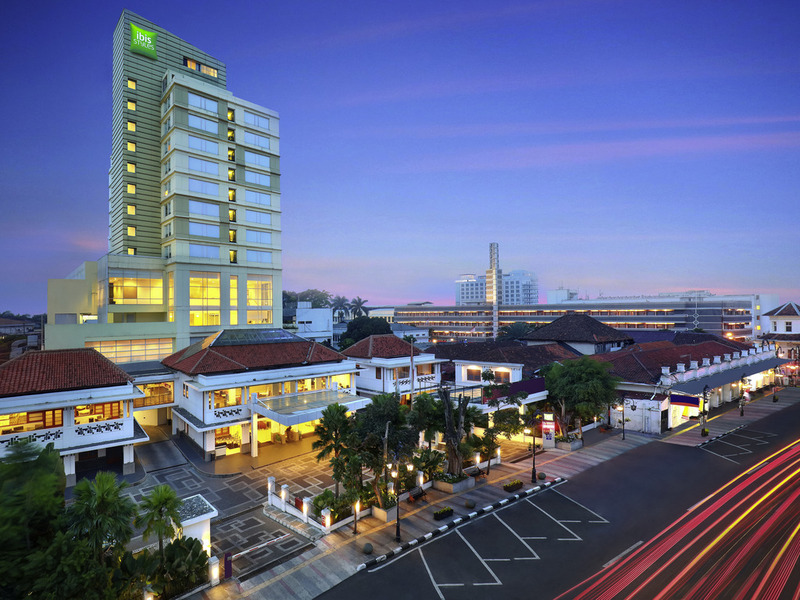 Ibis Styles Bandung Braga's happy mood team can't wait to welcome you to Bandung! You will enjoy our location in the heart of Bandung, ideal to stroll down the famous historical Braga & Asia Afrika streets. Recharge your battery with a great night sleep in your Sweet Bed, the ibis bedding concept. Enjoy all-you-can-eat buffet breakfast at STreats Restaurant or have drinks at Lobby Bar. Opt for our Family Room if you're traveling with kids and have fun in the kids swimming pool on rooftop. Whether you come for leisure or business, don't forget to indulge yourself at Braga Spa at the end of the day. Ideal to accomodate your meetings, events or weddings, our six meeting rooms can host up to 300 people. Bandung is an historical city amid volcanoes and tea plantations. It is famous as outlet shopping area. Most popular attractions are Gedung Sate, Tangkuban Perahu, Kawah Putih, Patenggang Lake, Trans Studio Bandung, Cihampelas Shopping Center. The new ibis bedding offers you the ultimate comfort of sleeping experience by providing bedding that is wonderfully comfortable on every level: microfiber pillows and bolsters, soft large duvet and comfy topper. Located on the mezzanine floor of ibis Styles Bandung Braga, the 140 seat Streats Restaurant offers a buffet breakfast with a choice of a la carte international and Indonesian cuisine for the rest of the day. Located on the ground floor at the side of the lobby, STreats Bar and Lounge has a capacity of 35 seats.